DNA damage occurs in human cells at a constant rate. These cells are usually able to repair themselves, but sometimes deficiencies in certain genes cause the repair process to shut down. When damaged DNA isn’t fixed, mutations can occur that cause accelerated aging or cancerous tumors to form (Hoeijmakers, 2009). Scientists at Erasmus University Medical Center in Rotterdam have found a way to slow down the process – at least in mice. In a study published in Nature, the researchers report that when mice deficient in the DNA-repair genes Ercc1 or Xpg are put on a restricted diet, they experience better overall health and increased lifespans compared to DNA-repair-deficient mice fed a normal diet. They also found significantly lower levels of neurodegeneration in the brains and spinal cords of diet restricted animals compared to controls. “Here we report that a dietary restriction of 30 percent tripled the median and maximal remaining lifespans of these progeroid mice, strongly retarding numerous aspects of accelerated aging Mice undergoing dietary restriction retained 50 percent more neurons and maintained full motor function far beyond the lifespan of mice fed ad libitum,” (Vermeij, et al 2016). Since the DNA-repair-deficient mice were already smaller and weaker than normal mice, the Rotterdam researchers wondered whether diet restriction would be beneficial or detrimental to their health. They found that gradually restricting the diets of DNA-repair-deficient mice starting at age seven weeks increased their median lifespans from 10 to 35 weeks in males and 13 to 39 weeks in females as compared to controls. They also saw significant differences in the levels of neurodegeneration between these two populations. Using Stereo Investigator, they found 50 percent more neurons in the brains of diet-restricted mice compared to those fed a normal diet. They also saw lower levels of cells expressing p53 – a protein expressed in response to DNA damage – in diet-restricted mice. According to the authors, dietary restriction may not fix defects in DNA repair mechanisms, but it may help to reduce the severity and speed at which the damage occurs. “Our findings establish the Ercc1 mouse as a powerful model organism for health-sustaining interventions, reveal potential for reducing endogenous DNA damage, facilitate a better understanding of the molecular mechanism of dietary restriction and suggest a role for counterintuitive dietary-restriction-like therapy for human progeroid genome instability syndromes and possibly neurodegeneration in general,” (Vermeij, et al 2016). 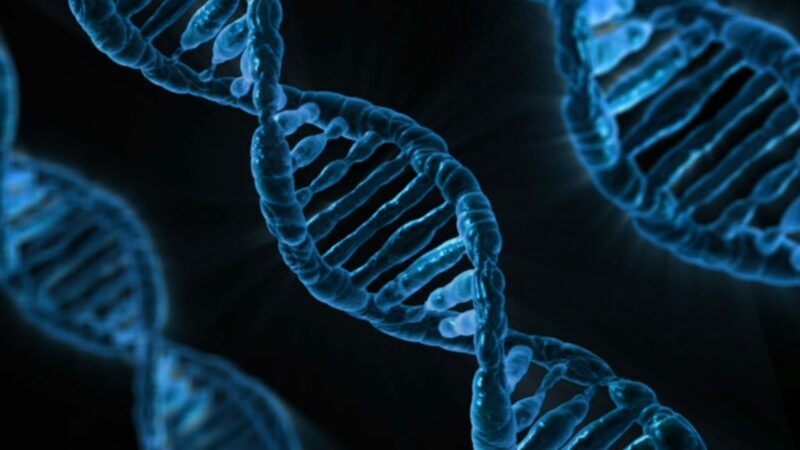 Stock image of DNA used in accordance with the CC0 public domain license. Posted in Customer News and tagged dietary restriction, DNA, DNA repair, dna repair genes, ercc1, increased lifespan, Neurogenesis, Stereo Investigator, Stereo Investigator Case Studies, Stereo Investigator Customer Research, xpg.